I just wanted to drop everyone a quick note to apologize for the issue we had yesterday with the background advertisement bleeding into the main page and causing issues for commenters. This, of course, is what happens when the same guys who write about the tools also have to code the site. (I like to think I can be good at everything, but usually I just end up being mediocre at, well, everything.) Anyway, sorry for the inconvenience, and I wanted to let you know that it’s definitely something I did as opposed to anything caused by the advertising or the advertiser. Everything should be working now, but I’d appreciate it if you’d let me know in comments if you run into any similar issues now. It’s working fine for me here in Chrome on OS X 10.7, but I’d be interested to know if it’s working on other platforms. Thanks! I’m a total sucker for the ideas that never seem to make the pages of print publications. You know — tool releases that aren’t made of new unobtainum or attached to the latest chemistry battery. And here’s my newest favorite: DeWalt’s wearable-backing flap discs. Here’s the skinny: Know how when you’re grinding with a flap disc it wears down (pretty quickly) to the point where you can only use the middle bottom of it since the edges are too worn to grind and stick out too much to fit in anything? DeWalt solved the problem. 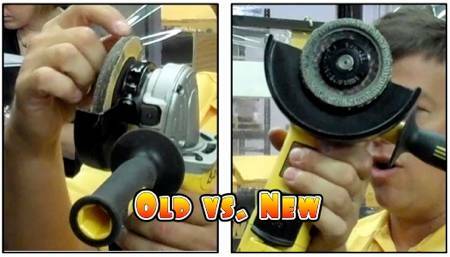 By forming the backing out of a material not dissimilar from a really thin grinding wheel, they created a wheel where the backing wears down along with the flaps. The result? You can grind with one of their new wheels — even with only a sliver of flap left. Still love that 8.1 liter big block truck engine for towing your speedboat to the lake — or towing your three-bedroom vacation home to the RV park? Better get ’em while they’re hot. This weekend GM shut down the Tonawanda, NY, production line that makes them. That makes all of ’em. Malco’s duct folding tool doesn’t look like much, but it allows you to evenly fold sheet metal for forming various duct parts. It’s simply two steel plates joined together at the center. You insert the sheet metal in the gap between the plates until you see it through the diamond site holes, then twist the tool to form the bend. Malco sells five versions of the folding tool: 8″ and 12″ long folding tools that make 3/8″ and 1/2″ bends and 12″, 18″, and 24″ tools that make 3/8″ and 1″ bends. 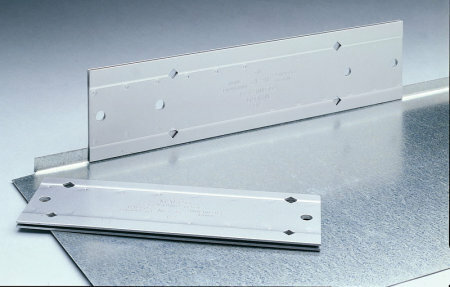 The longer the tool the more uniform the fold; the 24″ version can even be used as a mini brake for flashing and siding. You can pick up one of these folding tools for between $10 and $15. If you need to check drive pulleys to see if they’re out of alignment, one way to do it is to use the Gates Drive Align laser alignment tool. It can show you if the drive pulleys are offset or angled with respect to each other. Gates’ tool uses a 650nm (red) laser diode powered by a replaceable lithium battery which provides 20 hours of continuous use. It can be used on all automotive serpentine belt drives with four or more ribs. 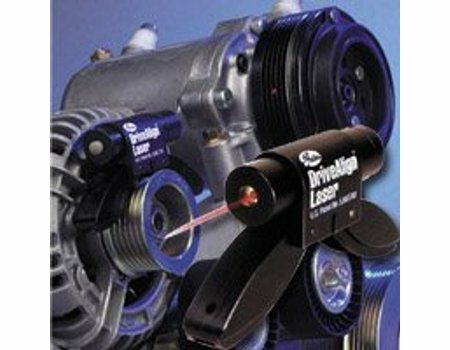 The Drive Align Laser includes glasses that help you see the laser better, a bungee cord to secure the laser tool to the pulley, and an Allen wrench to align the light beam. The tool comes in a high-impact plastic carrying with space for the other accessories. Overall the Laser Drive Alignment Tool will run you at least $125. Want To Write For Toolmonger? We’re Hiring! Have a passion for tools and all things Toolmonger? Willing to put in a little steady daily effort learning and writing about tools? We’d like to hear from you. Toolmonger is growing yet again and we’re seeking a few new writers to contribute to our daily flow of tool coverage and general fun. As any pro blogger can tell you, the work is difficult and the pay is, well, not a lot. 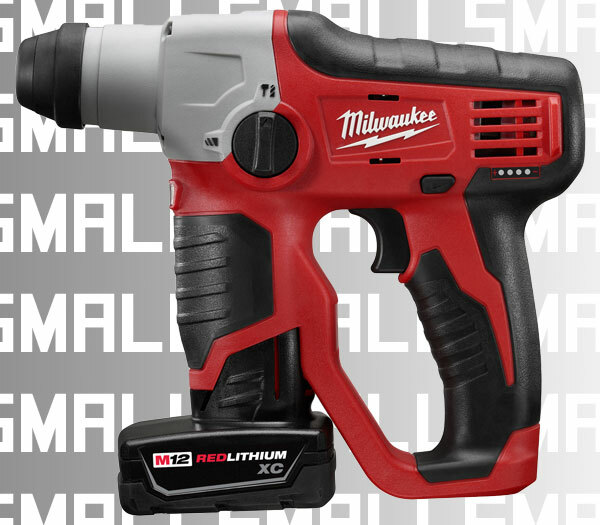 But there’s no better way to get (and stay) connected to the world of tools. If you’re interested, check out our application instructions (this is important) and then drop us a line as instructed. If you’re a match, we’ll have you up and blogging quickly.